India’s GDP growth at 6.6% bears a testimony to its development which thrives on the growth of small businesses among other factors. Let us crunch more numbers on the growing economic powerhouse: At 6.6% India grew faster than China’s 6.4% GDP growth in the third quarter. As the fastest growing economy in the world, India accounts for about 15% of global growth. MSMEs contribute around 6.11% of the manufacturing GDP and 24.63% of the GDP from service activities. The sector’s contribution to the country’s GDP is expected to increase to 22% in 2020. With SMEs playing such a critical role it is imperative to identify key drivers that can help the sector grow in leaps and bounds. Here are the latest Small business trends that will set the course of its future. It is a well-known fact that the primary barrier for SME growth has been finance. Most businesses face extreme difficulties in getting access to working capital loans. Their problems range from inability to provide collateral, lack of comprehensive credit score and a challenging application process for approval of loan. Some of the lending platforms offer up to Rs 1 crore loan at a reasonable interest rates within three days and, that too, without collateral. The new age online lenders are using AI-driven algorithms to generate a credit score for applicants to make the process of disbursing SME loans in India faster. There is a surge in non-banking finance companies offering customized quick small business loans solutions on online platforms. Going forward digital start-ups and alternate lending platforms will become an effective platform to solve the problems of SME business loans. In a digital landscape when businesses are adapting technologies, SMEs cannot afford to remain behind. SMAC which combines technologies like social, mobile, analytics and cloud will be the most sought after solutions and emerge as small business trends 2019. It will aid businesses to sell products and services in an engaging, personalized and comprehensive manner, and that, too within affordable cost structure. The technology helps to create a level playing field for SMEs and enables them to compete with larger players as well. With businesses crossing borders, the needs of SME business loans have expanded significantly. Today peer-to-peer lending has gained momentum as it eliminates the traditional approach of raising SME loans in India which is tedious, cumbersome and take a longer time. Under P2P model, a business owner can place the request which is viewed by lenders who then decide on the requirements. Once a borrower’s profile is approved, a loan can be sanctioned in a few hours. Even the credit rating procedure and background check of a borrower is processed faster as compared to traditional banks leading to better disbursal of SME business loans. With digital banking you can easily get quick business loan approvals on platforms such as Lendingkart. Such innovations in lending space would emerge as one of the key sme business trends in 2019. Those businesses have a successful run which relies on efficient tracking payments mechanisms. A new set of tech savvy companies have emerged to make the process of collections for merchants easier. These companies operate in the cloud and simplify the transactions. The entire payment is made seamless for merchants who can share payment links with customers via email, SMS, or WhatsApp. Such companies also work in tandem with traditional payment methods like credit cards, NEFT/RTGS, wallets, net banking etc. Around 96 per cent of the SMBs use social media in their marketing strategy. 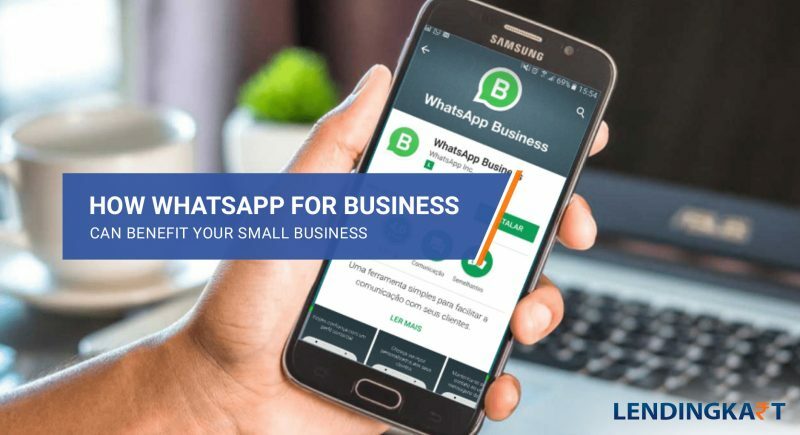 Facebook has been the most preferred social media channel for expanding the reach of SMEs and the platform keeps introducing features and insights to help them connect with new customers from different cities, regions or countries. One of the major small business trends in 2019 will be to weave social media in their marketing strategy and explore areas such as live videos to connect with audiences. SMEs adopting the cloud have witnessed clear benefits because the technology is advanced, affordable, and easy to use. Cloud can solve some of the biggest challenges including password management, CRM, and managing mailing lists. According to the latest study, SMEs witnessed a multiplier effect of 1.5 times in its productivity and profitability with multiplier effect of 3 times after shifting from low to medium cloud technology. In fact, data and advanced analytics solutions are being explored to increase efficiency and cut cost. Businesses are developing algorithms and investing in artificial intelligence (AI). AI and analytics will dominate the SME trends in 2019. With advancements in technology, it is time SMEs notice these trends and adapt them to stay ahead of the pack. 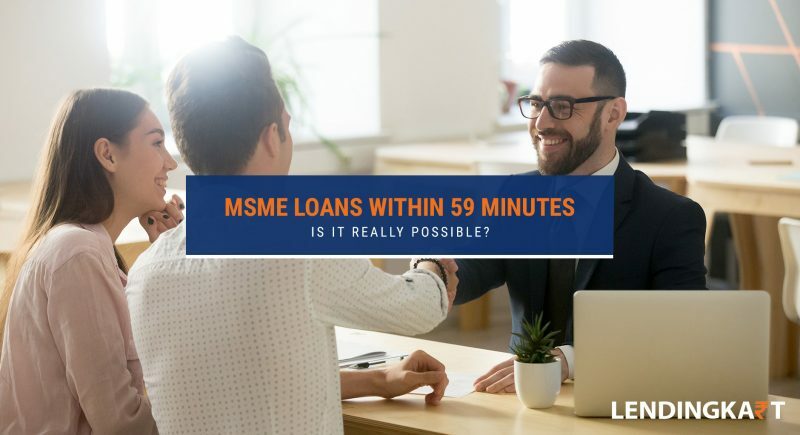 MSME Loans Within 59 Minutes: is it really possible? The government announced a new scheme for small and medium business owners as a festive gift, ‘business loans / MSME loans within 59 minutes. The announcement had the business world buzzing with excitement as the scheme promises business loans up to `1 Crore. However, little else was clear about the due process to be followed for getting these quick business loans. In this post, we analyze the feasibility of the latest scheme and the hurdles one might face during the loan approval process. Furthermore, we will also have a look at other government initiatives for funding MSMEs and startups, and compare their performance to NBFC loans in India. The loan being offered under the government scheme is mainly a working capital loan of ₹ 10 lakh up to 1 Crore. 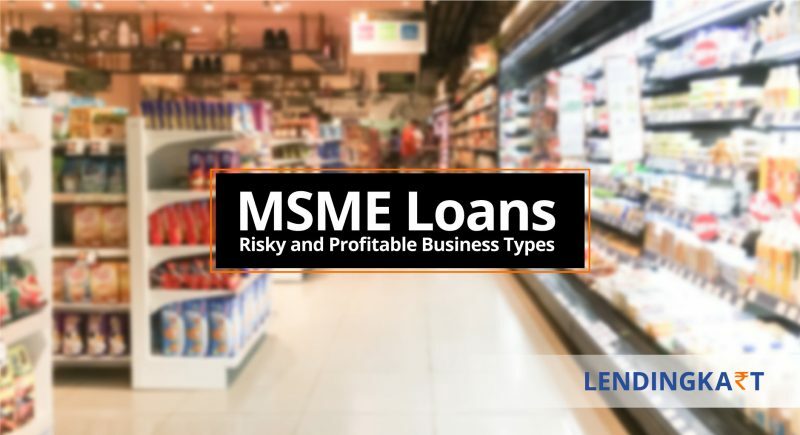 The minimum business loan rate of interest offered is 8% but it may vary based on the applicant’s credit score, business activities and other factors that determine the financial health of an MSME. There are no collateral requirements for this loan, hence making it an unsecured business loan – similar to the working capital loans offered by NBFCs like Lendingkart. Processing fees and charges are pegged at ₹ 1000 plus applicable taxes for borrowers who are accepted for lending. Now, coming to the main highlight of the ‘59 Minutes Loan’ scheme. Participating banks offering products under the scheme are required to provide approval in principle to the borrowers whose proposal matches their product. While this approval will be given within 59 minutes, the actual disbursal of the loan will still take 7-8 working days. Last 6-month bank statement in PDF format for all business-related accounts. e-KYC paper i.e. a digital version of know your customer paper. Income tax returns for the last 3 years in XML format including income tax codes and e-filing details. GST certification is necessary and the borrower has to provide his / her GST ID and password. Ownership certificates / details of current ventures of the applicant. Personal and educational details of the applicant. The application starts with a ‘new user’ registration on the official website, https://www.psbloansin59minutes.com/home. Step 1: Complete the sign-up process by entering your name, email and mobile number. Click on ‘get OTP’ to verify your credentials. Step 2: Enter the OTP received on your phone and agree to the terms and conditions before clicking on ‘Proceed’. Step 3: The next screen will ask a few basic questions which you need to answer in ‘yes’ or ‘no’ by selecting the corresponding radio selection box. Click proceed again to continue to the next step. Step 4: Now, you will be asked to input your GST details, such as GST number and password, followed by income tax information. Here, you can either upload the statements in XML format or login with your ITR details such as PAN and date of incorporation. Step 5: This step involves the upload of your past 6-month bank statements in PDF format. You can also login with your net banking credentials and allow the lenders to access the financial statements. 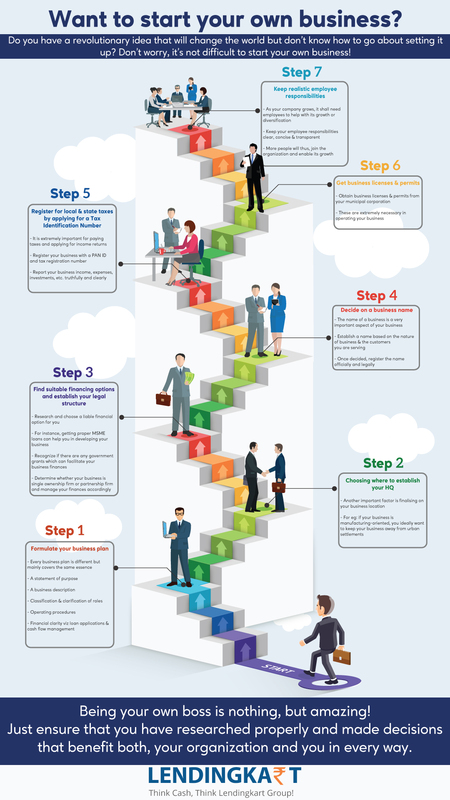 Step 6: Here, you provide the details of directors, proprietor and company address. Step 7: Now select the purpose of your loan and provide the details of any previous / existing loans taken by your business. Step 8: Select the bank through which you want your loan to be processed. The interest amount may vary from bank to bank. Step 9: Pay the ₹ 1000 convenience fee, plus taxes for approval. Step 10: Download your approval letter, pending further due diligence by the loan providing bank. The thing to note here is that the ‘59 Minute Loan’ scheme is not the first initiative by the current government to ease business finance. A similar fast track business loan scheme called the Pradhan Mantri Mudra Yojna (PMMY) is already in place. The PMMY is also backed by the public sector banks and offers loans up to ₹ 10 lakh to MSMEs and startups. However, a closer analysis of the scheme reveals some major bottlenecks and drawbacks of government run financial schemes for small businesses in India. 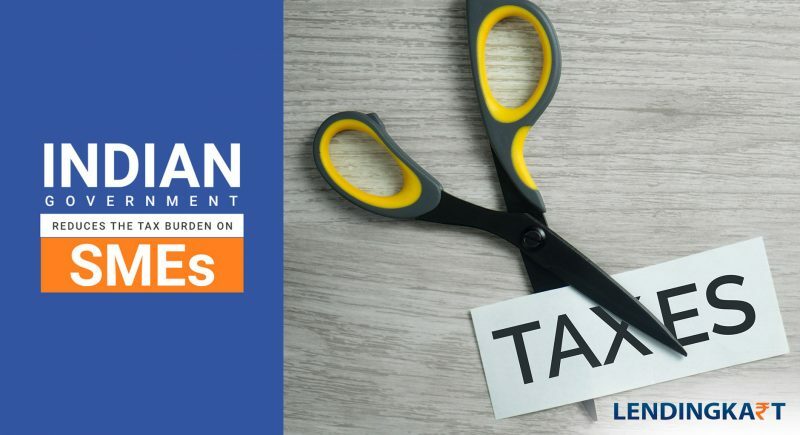 For exahttps://www.lendingkart.com/blog/5-tax-saving-tips-for-small-business-owners-in-india/mple, since the Mudra program was started in 2015-2016, a whopping ₹ 4.68 lakh crore have been disbursed to 9.9 crore loan applicants. While the sum of loans given is impressive, simple math tells us that the average amount per application is just ₹ 47,249. So, the question that needs asking is, can anyone setup a successful enterprise with less than ₹ 50,000? While someone may be able to setup a shop or similar retail business for that amount, keeping it up and running is not possible without some minimum working capital expenditure. Thus, the amount of money offered under the Mudra program is not sufficient for startups and MSME funding at all. Moreover, the CBI is already investigating a senior Punjab National Bank Official for fraud after his PNB branch approved ₹ 62 lakh in lieu of 26 loan applications under the Mudra program. The charges as quoted in the CBI complaint are “without conducting meaningful pre-inspection or physical verification of spot of business or residence and without ascertaining end use of the loan amount or creation of assets from the loan amount”. Now, isn’t that the Mudra program? The PMMY was meant for offering quick business loans without collateral requirements and stringent check and balances. Which in turn makes the ‘59 Minutes Loan’ scheme susceptible to unforeseen hindrances. Since the new scheme offers unsecured business loans up to ₹ 1 crore, bank officials are going to be even more cautious in scrutinizing loan applications. Also, similar to the Mudra scheme which was a refinancing scheme, for which the funds were provided by banks, NBFCs and MFIs under pressure from the government, the new scheme also adds the burden of funding loans on public sector banks (PSBs). Thus, given the NPA crisis faced by almost all PSBs, the 7-8 days loan disbursal policy also seems a little far-fetched right now. The concept of fast business loans is not a new one and the latest government scheme is just an extension of same-day loan approvals being given by NBFCs like Lendingkart, albeit with some sugar-coating. Some of the features being touted by the new loan scheme, such as online portal for loan application and digital submission and verification of documents, are already in use by NBFCs like Lendingkart. Moreover, the simplicity and steps involved in loan application process are also fewer for NBFC business loans. Here are some of the key differences between the ‘59 Minutes Loan’ scheme and NBFC business loans. Application Process: Both use online application process, needing users to register with name, email and phone numbers. Documentation: The government’s business loan scheme requires the submission of 6-month bank statement, 3-year income tax filings, GST details (including your password) and incorporation certificates along with personal, educational and financial details of the owner / partners / directors. On the other hand, Lendingkart offers loans based on 6-month bank statements and 2-year ITR returns if your revenue is less than 60 lakhs. It is not mandatory to have net banking and Lendingkart does not ask for ITR and GST in case of Green Zone. Loan Amount: The ‘59 Minutes Loan’ scheme offers loans from ₹ 10 lakh up to ₹ 1 crore whereas Lendingkart has a wider scope in terms of funding with business loans ranging between ₹ 50,000 to ₹ 1 crore. Loan Disbursal: If all details check out, the government’s loan scheme offers business loans within 7-8 days, which is not a lot quicker than the existing loan products offered by banks. On the other hand, Lendingkart promises the disbursal of loan funds within 3-days’ time once your application is verified. Additional Features: Both, the government’s MSME loan scheme and NBFC loans are unsecured business loans. However, Lendingkart offers several additional advantages such as top-up loan, renewal upon full repayment, zero evaluation charges and no pre-closure charges. Furthermore, Lendingkart also has a dedicated mobile app, customer support and social media presence to assist customers in real-time. In its current form, the new scheme by government is a tough sell once you go beyond the face value. Here are some of the things which an NBFC business loan still does better than the ‘59 Minutes Loan’ scheme. NBFC loans are self-funded whereas the government’s scheme relies on SIDBI and PSU banks – State Bank of India, Bank of Baroda, Punjab National Bank, Vijaya Bank and Indian Bank. Hence, the NBFC business loans retain the advantage of being fast and free from bureaucratic delays. The starting value of ₹ 50,000 gives NBFC business loans another advantage as it increases the probability of getting a small business loan for an applicant who may not be able to service a loan worth ₹ 10 lakh, which is the minimum under the government’s proposal. In essence, the 59 minutes loan approval time is similar to same day loan approvals, as the condition of ‘pending verification’ applies in both cases. However, where NBFC business loans from Lendingkart are disbursed within 3 days of verification with attractive interest rates, the same process takes 7-8 working days under the government scheme. NBFC loans offer the facility of revolving capital through products like business loan renewal and zero pre-payment charges, making them more suited for working capital finance. On the other hand, fresh loans under the government scheme will have to follow the same application, approval, processing and disbursal cycle all over again. NBFCs like Lendingkart also offer monthly and bi-weekly EMIs to help businesses with extended invoicing cycles. This flexible EMI feature may not be a part of the government’s MSME finance scheme from the onset. The questionable success of previous government financing schemes also puts NBFC loans in perspective, where companies like Lendingkart Finance are now offering business loans across India. While we should laud the government’s efforts to make India more business-friendly, only time and numbers will tell the real story here. The political detractors of the government were quick to point out that the new MSME finance scheme has all the trappings of a same-day approval loan and that it is merely a pre-poll sop. Even several bankers have questioned the feasibility of the ‘approval within 59 minutes’ approach as the public sector banks which are expected to shoulder the burden are still reeling from a bad loan crisis and the shadow effects of demonetization. The most concerning part of the scheme remain the actual turnaround time for the business loan. The disbursal time of 7-8 working days can easily stretch up to 8-12 days when you count weekend holidays and public holidays. So, in reality, getting a business loan from the bank will still remain a cumbersome task. On the other hand, NBFCs are offering a wider range of loan options and complementary products and services like auto-renewals and zero penalty pre-closures, which are hard to ignore. Add to that the possibility of getting a business loan within 72 hours and the government’s proposal loses some of its sheen. So, when compared head on, NBFCs like Lendingkart are still offering better value to their customers until the time the government scheme matures. So, in the end, answering the question ‘is it really possible to get a business loan within 59 minutes?’. Unfortunately, the answer is no. You can get a business loan approval within 59 minutes, but all it means is that the banks refinancing the government’s scheme will follow their usual application and verification process after that. The actual loan will only be given after the process is complete, which can take up to 12 days. You can, however, get a business loan within 3-days by signing-up on Lendingkart’s website or mobile app.